It could take up to 30 years of tolling drivers to fund all the projects outlined in a tolling bill which passed out of the Transportation Committee on March 20, unless the state plans to increase bonding to pay for those projects. Committee Bill 423 provided a list of 16 high-priority projects garnered from the Connecticut Department of Transportation’s five-year capital plan. Many of those projects were suspended when Gov. Dannel Malloy announced the Special Transportation Fund was out of balance in January of 2018. The projects would be funded through a Transportation Priority Projects account – a new fund within the Special Transportation Fund. According to numbers provided by the Connecticut Department of Transportation, those projects total $24.6 billion. The project list contains $4.8 billion rail projects, including $809 million for repairs, stations and rail cars for the brand-new Hartford Line. The project list contains $4.8 billion rail projects, including $809 million for repairs, stations and rail cars for the brand-new Hartford Line, which runs from New Haven to Springfield and was recently completed for nearly $800 million. Gov. Ned Lamont’s budget estimates toll revenue to be $800 million per year, meaning it could take a long time before tolls could pay for the projects outlined in the bill, but the additional revenue from tolls could be used to leverage more transportation bonding. There are some differences between what was listed in the tolling bill and what was provided by CT DOT. Notably, there is no plan to replace the Gold Star Bridge, but rather repair and make improvements to it. Secondly, the tolling bill lists repairs to the Mixmaster in Waterbury, whereas the CT DOT lists the cost of replacement. However, some of the projects might not be allowable under the federal tolling guidelines referenced in the tolling bill. The legislation says, “such expenditures shall be an eligible use of toll revenue pursuant to the provisions,” of the United States statutes. However, those statutes say that toll revenue must be used for repair and maintenance of the road on which the revenue was collected until such time as a “public authority” deems the road to be in good repair. The $4.8 billion in railroad projects may not be eligible for toll revenue until the work on highways has been completed. Some of that highway work is fairly extensive, such as replacement of the Mixmaster in Waterbury, estimated to cost $7 billion, replacement of I-84 viaduct in Hartford for $4.4 billion, or work on the I-84/I-91 Interchange for another $4 billion. Most of the projects listed in CB 423 were suspended in 2018 after a report by the CT DOT noted the Special Transportation Fund would fall into a $388 million deficit by 2022. As part of the 2017 budget revision, lawmakers began to transfer vehicle sales tax revenue to the STF to balance the transportation fund’s budget and enable suspended projects to continue moving forward. However, as part of his proposed budget, Gov. Ned Lamont wants to freeze that transfer, which would essentially leave the STF broke by 2021 and, instead, called for installing tolls on Connecticut’s highways. Lamont has said toll revenue would reduce the state’s use of bonding for projects, which differs from the CT DOT’s plans, outlined in their annual report. CT DOT was counting on an increase to state bonding to cover Gov. Dannel Malloy’s 30-year, $100 billion Let’s Go CT! infrastructure plan, which includes a number of the projects listed in the tolling bill passed out of the Transportation Committee. 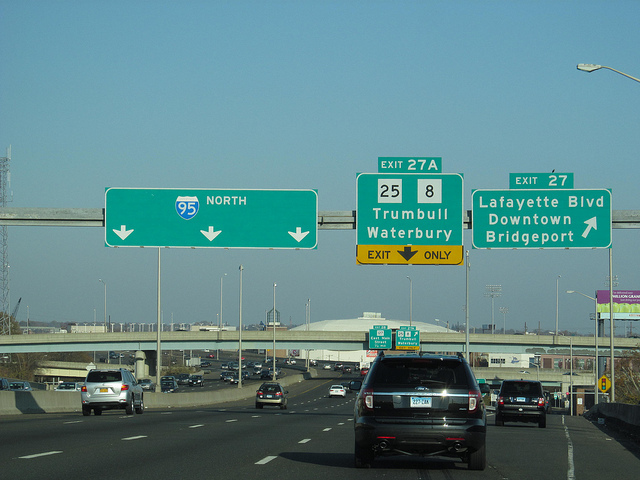 The five-year ramp up ends in 2020, according to the report, but DOT assumes the state’s regular bond program “will increase by approximately $700 million” in FY 2021. Debt service payments account for approximately 40 percent of STF spending. In his 2018 push for tolls, Malloy said the STF wasn’t taking in enough revenue to continue bonding for needed projects. Republicans have pushed for their Prioritize Progress plan, which would prioritize state bonding for major projects without the need for tolls. Tolling is a tax increase that never goes away and will further push residents to flee the state.